Hey guys! 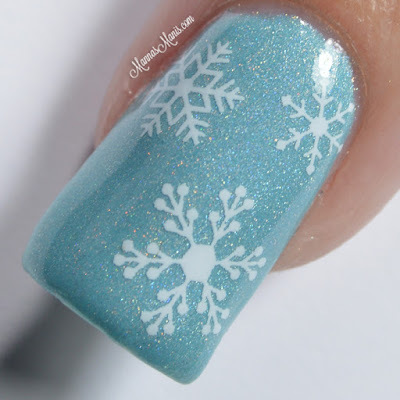 Oh look, another snowflake mani. I hope you're not tired of them yet, cuz they're my fav this time of year. 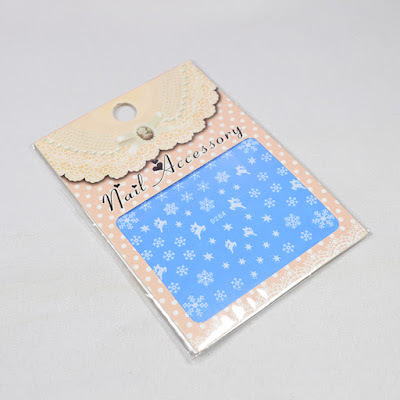 These water decals from Born Pretty Store are super cute and easy to use, check out my results! Cut each image out separately, remove film, dunk into water for 15 seconds, slide the image off the paper and place decal on your dry nails. No issues with these! If you'd like to get these for yourself, you can purchase them here, or click on the banner below. Be sure to use my code, AMABK31 to get 10% off your order!